Home » Michael T. Ndemanu Ph.D.
Dr. Michael T. Ndemanu is an Assistant Professor in the Department of Teacher Education in Pott College of Science, Engineering, and Teacher Education at the University of Southern Indiana. He holds a Ph.D. in Curriculum and Instruction from Indiana University at Bloomington. He was born and raised in Alou, a city in the South Western region of Cameroon. He completed his undergraduate studies in the University of Yaoundé 1 in Cameroon and taught French and English in several schools in the Littoral and northern regions of the country for eight years prior to immigrating to the United States in 2006. His Master’s degree is in English as a Second Language from Langston University in Oklahoma. He has received the James Sears Award, PDK Emerging Leadership Award, and Langston University’s Distinguished Service Award. 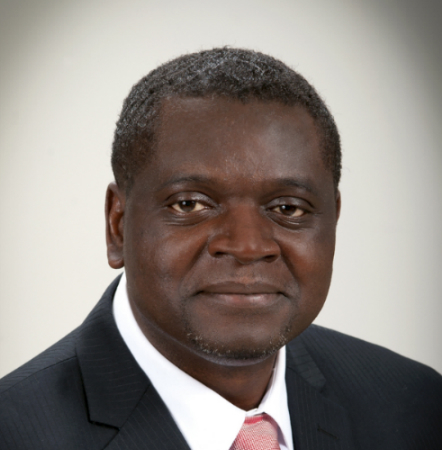 Dr. Ndemanu currently teaches courses in Diversity and Equity Issues in Education, English as a Second Language, and Literacy and Culture at the University of Southern Indiana. His research interests are in the sphere of multicultural education, transformative education, and the influences of Niger-Congo languages on Ebonics.